Talofa! That means ‘welcome’, to beautiful Samoa that is. 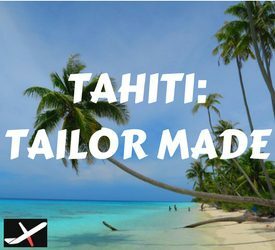 This proud independent island nation is not only blessed with stereotypical natural beauty of the tropical kind, but it’s also the most authentically Polynesian destination in the vast South Pacific – an exotic land where even men wear skirts. As you’re chasing waterfalls, touching down on white sand beaches or roadtripping around the islands, remember one thing – ‘Samoan time’ beautifully ticks at its own pace. 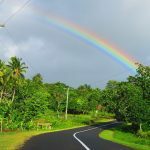 So take advantage of this in depth Samoa Travel Guide, and plan the trip of a lifetime! I spent nearly a month in Samoa while backpacking across the South Pacific Islands for six months, spending time in both Upolu and Savaii. 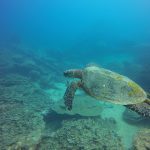 This Samoa Travel Guide was written based on my experiences and is meant to help you make the most of this tropical destination. 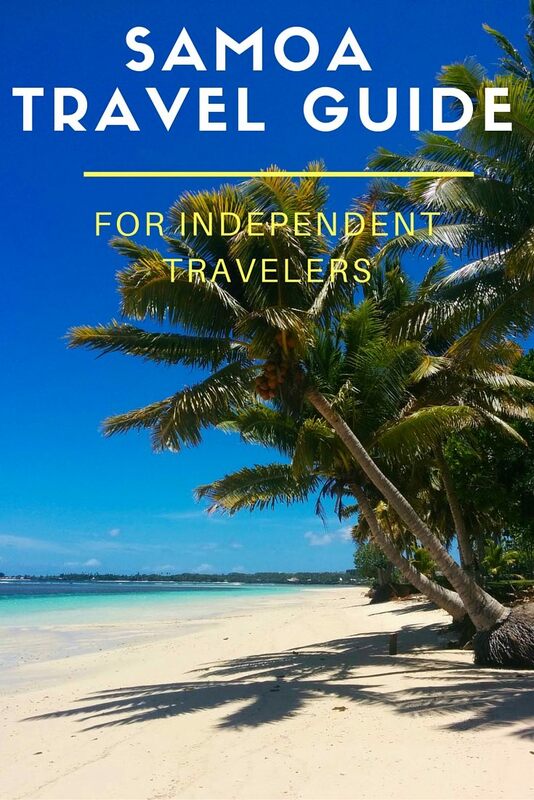 What’s Included In This Samoa Travel Guide? 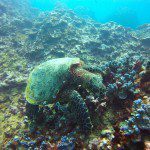 Why Should You Visit Samoa? I don’t know about you, but for years I felt an unexplained yearning to visit Samoa. 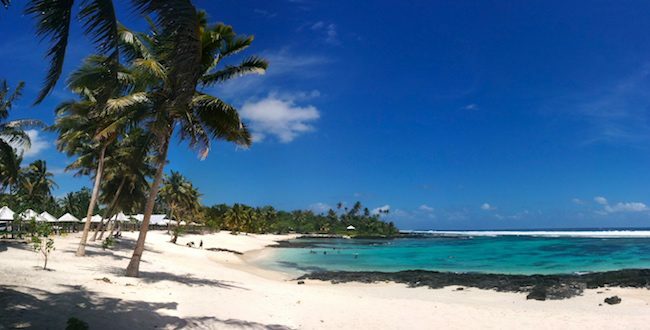 In my mind, I envisioned Samoa as this tropical paradise, home to those ‘stereotypical’ Pacific Islanders and where time has absolutely no meaning. I must admit that Samoa proved to be exactly that and much more. Samoa was one of the most interesting places I’ve ever visited. 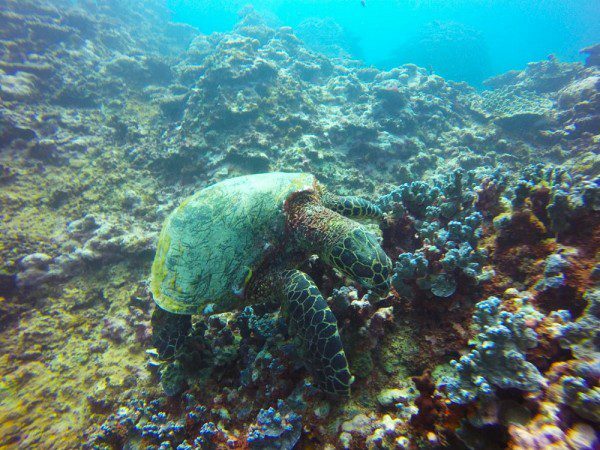 It’s not your typical luxury beach vacation but it is one the most affordable South Pacific destinations. Its islands are blessed with immense tropical beauty: from white sand beaches to towering waterfalls to ancient volcanoes covered in thick vegetation. 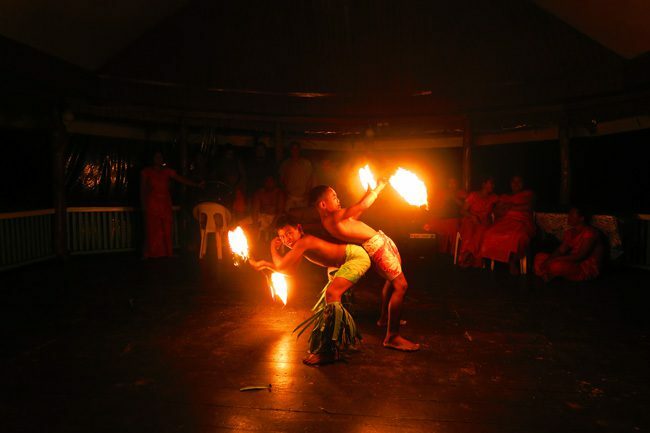 However, Samoa’s ‘ex-factors’ are its culture and its people. Decades of independence has resulted in relatively little foreign influence. This has aided Samoans in preserving their unique culture and code of behavior known as Fa’a Samoa (the Samoan Way). 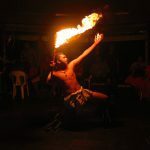 Visitors will notice the particularly different way of doing things in Samoa. And with a lot of curiosity and patience on your end, you’ll find this lifestyle beautifully blends with the natural beauty to create a one of a kind destination. I usually try and keep this section brief but in the case of Samoa, this is downright impossible. 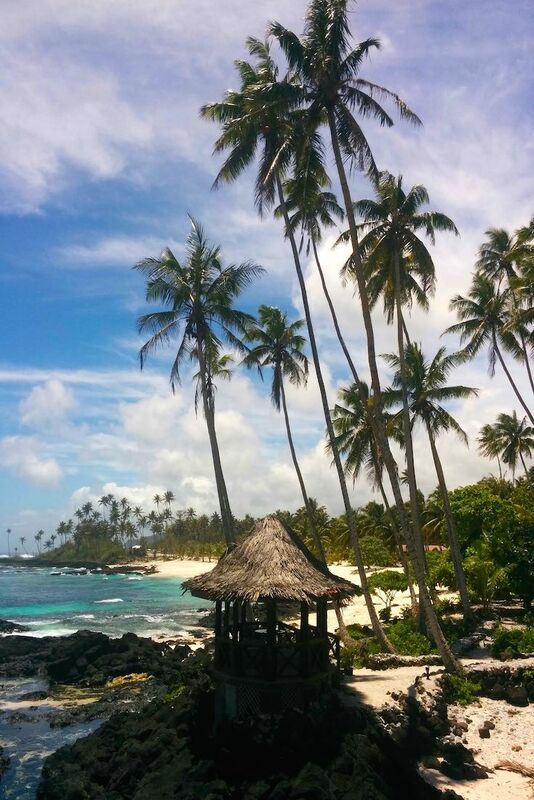 If history and understanding the Samoan culture aren’t your things, simply scroll over to the next page of this Samoa Travel Guide. 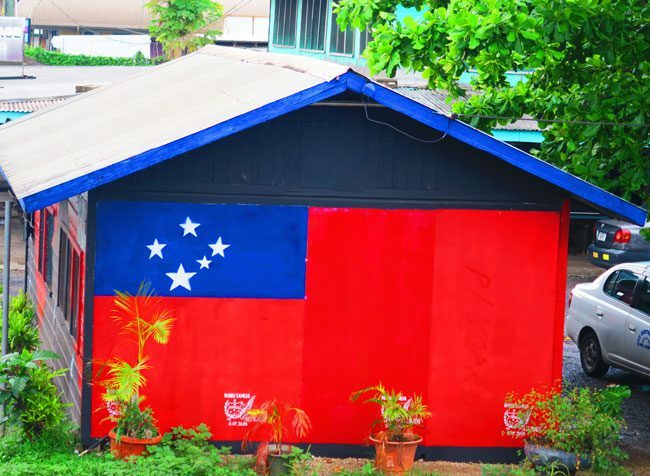 The proudly independent Samoa lies at the very heart of the Polynesian Triangle. Scientists are still disputed over the origins of Samoans and where exactly they came to the islands from. It is currently thought that Samoans, and in fact the Polynesians, are the descendants of the Lapita – a seafaring people from Southeast Asia who settled in Samoa some 3000-3500 years ago. Europeans, nicknamed ‘Palagi‘ for their pale skin, first made contact with Samoans in 1722, beginning a period of frequent European trips to the ‘Navigator Islands’. With the explorers, whalers and traders came the missionaries. In 1830, the London Missionary Society began their campaign, later joined by the Mormons. Following on their success in the Cook Islands and French Polynesia, conversion to Christianity was relatively quick. Samoans saw many similarities between their traditional beliefs and this new religion, further speeding adoption. Now on the world map, the naval superpowers of the late 19th century showed great interest in the Samoan islands, each for their own reasons (agriculture, rubber, natural harbors). Powerful Samoan families sided with the various parties, leading to a long and bloody dispute which eventually ended with Samoa going to Germany and American Samoa going to… the Americans. With the outbreak of WWI, New Zealand took over Samoa from the Germans on behalf of the British Crown. The period under New Zealand rule was marked by intense yet nonviolent Samoan resistance (the Mau Movement). An Influenza epidemic brought over by the Kiwis in 1918 led to the death of 20% of the population and to further animosity. Independence was finally achieved in 1962, the first Pacific island nation to break free from colonial rule. Though tense in colonial days, current ties with New Zealand are very strong, as with Australia. In the absence of substantial foreign investment, the two ‘Pacific superpowers’ contribute a lot of much need aid money to Samoa. Remittance payments from thousands of Samoans living abroad are also a primary revenue source for some families. 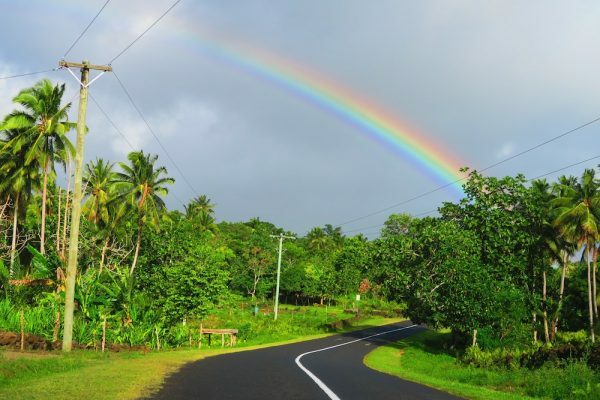 In 2009, Samoa switched to driving on the left side of the road and in 2011, moved west of the International Date Line. 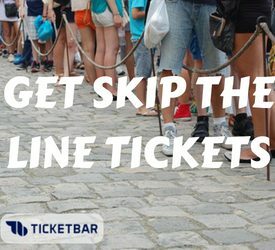 This allows the cheap import of cars and conducting business on the same calendar day as New Zealand and Australia. This traditional code of behavior and governance is the backbone of Samoan society even in modern times. At its heart is the extended family, known as ‘aiga. The more hands to carry the load, the easier life will be. The bigger your family is, the more powerful it is. So everyday life is not about ‘you’, it’s about ‘us’. There is no ‘I’, only ‘we’. Though likely originating from a real survival need back in the day, these codes still blindingly lead Samoans to do everything (and give everything) to their extended family and its representative bodies: chiefs, village, and church. Though an official government exists in Samoa, there is a traditional chief system which runs in parallel and often intersects the official system. There are four types of Samoan chiefs: the ali’i (high chief) who represents the district in the fono (national legislation), the matai (extended family chief) who decides on matters relating to the village, the polenu’u (administrative chief) who decides on municipal/local police matters and liaises with official government bodies, and lastly the tulafale (talking chief a.k.a orator) who represents the family in ceremonies and speaks on behalf of the matai in matters concerning neighboring villages (think of him or her as a PR lead). Beneath the chief system, ‘regular’ Samoans have their roles in life pretty much defined by fa’a Samoa. Unmarried and married men and women each have their family duties to fulfill. This sounds very overbearing and in fact, it’s a challenge the traditional system faces with the ‘Facebook generation’. 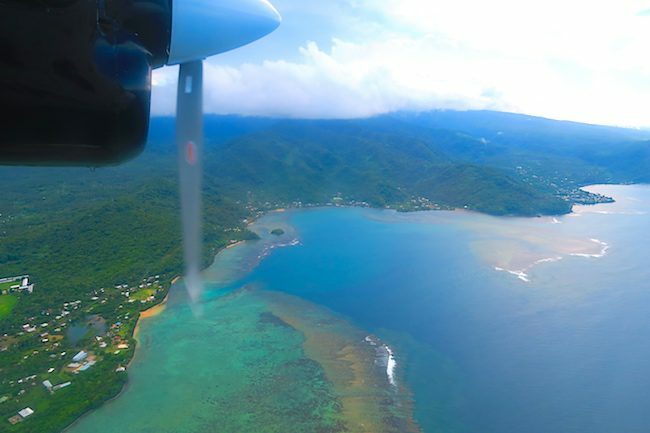 Millennial Samoans often feel trapped on their island, frequently leaving for Australia and New Zealand for self-determination. Whatever their motivation to leave Samoa may be, they will always send money back home to support their families and village. There is, however, a positive side to the tight family life. 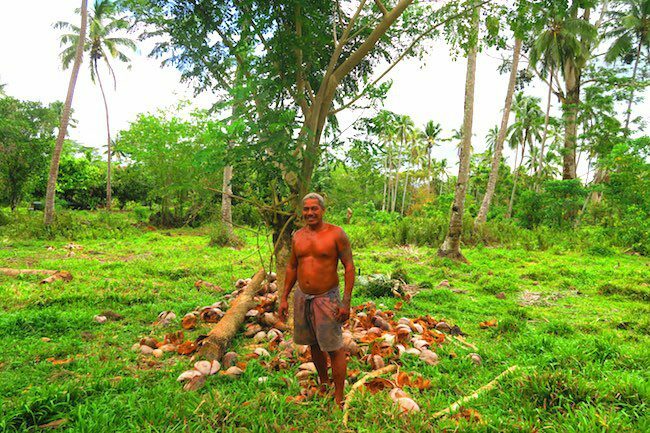 Samoans need not worry about a plot of land to build their home or who will take care of them when they’re old. In fact, loved ones are simply buried in the front yard! Though you might need to share a house for a few years with your uncle or cousin, you will always have a roof over your head and food on the table. So it’s not uncommon that many Samoans simply do not hold any official job. Somehow, if each extended family member takes care of his or her duties, everything will be alright. Though strict, Fa’a Samoa does have a tolerant side. 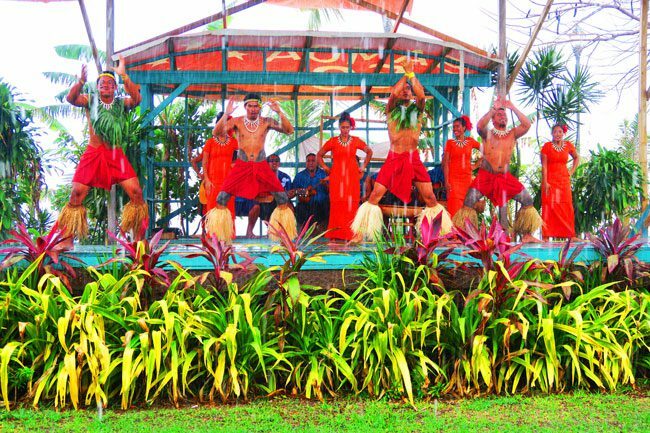 You will no doubt encounter the flamboyant male Samoans known as Fa’afafine. Referred to as ‘transexuals’ in the Western world, they are not considered male nor female nor gay by traditional Samoan culture. 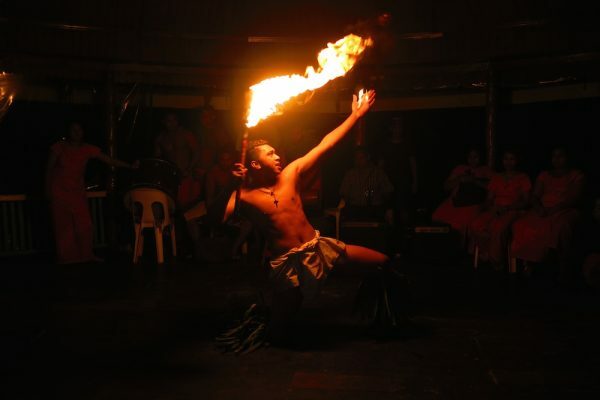 Fa’afafine are very much accepted in Samoan society, often bringing a ‘carnival vibe’ to any place they go. I heard somewhere that the surprising tolerance stems from the old days when families that only had boys raised the youngest as a female to aid with the female-oriented family chores. Watch the fantastic documentary film ‘Next Goal Wins’ to understand more about the Fa’afafine. 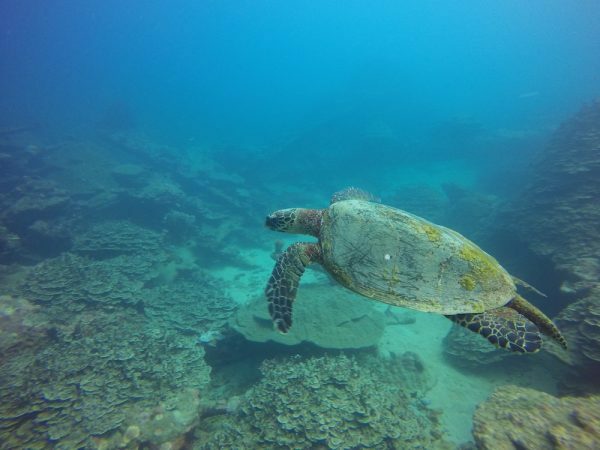 Just wanted I enjoyed reading the South Pacific islands guides and seeing the beautiful pictures. I’ll be utilising the itineraries for my trip to Samoa and American Samoa. Thanks Qin, glad you found them useful! Have a great time on your magical voyage … I am pretty confident you will! Take me back with you! Just a quick note, while the internet is problematic in Samoa, it is actually MUCH better in American Samoa! This information is AMAZING and so incredibly helpful in planning for our trip to Samoa. 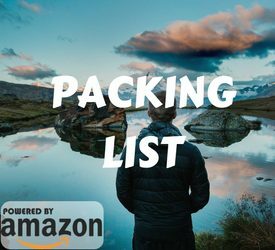 I usually spend hours finding things and planning out trips, but this guide is all I needed. So complete and very much appreciated! I hope you continue to travel and make more and more guides! Thanks Cindy! 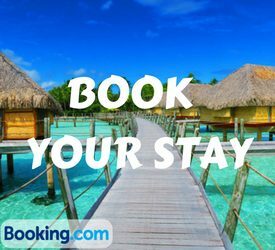 Enjoy beautiful Samoa! Hello! I was wondering if you had any recommendations on what to bring to American Samoa if moving there for a year with Teach for America? That’s a tough one as you won’t be there as a backpacker like me. I would recommend very lightweight clothing, from sweat resistant garments, light rain jacket with hoodie, beach gear etc. As for the local fashions, I’m sure you’ll pick those up once you’re there. I am planning our first family vacation and I came across your page somehow!!!! Your blog is so helpful and very detailed. Thank you for this. Thanks so much for your feedback Jess. Happy to have helped. Enjoy beautiful Samoa! Wow, so much information. Am just starting to look at an Island hopping trip within the next 2 years. (Retire next year). Hey we arrive next week for a weeks holiday and this guide has been amazing and so useful! !